Find out what local business leaders are saying about their companies' 2018 performance and their outlook for next year. Results of our most recent First Business Bank Economic Survey help your business plan and budget for 2019. Ms. Benson is the CEO of LSB Unlimited, which provides consulting services to businesses on complex issues and opportunities. She was co-founder and former CEO of Inacom Information Services, now CORE BTS. As CEO of Inacom Information Systems for its 25-year history, she helped grow the business into one of Wisconsin’s largest technology solutions providers. Ms. Benson has served as a member of the First Business Bank Board since 2009. Ms. Benson has served in various leadership positions on the boards and committees to many organizations supporting local economic, industrial and social development. Mark D. Bugher has served as a Director since July 2005 and is a member of the Corporate Governance and Nominating Committee and the Compensation Committee. Mr. Bugher served as the Director of University Research Park in Madison, Wisconsin from 1999 until his retirement in November 2013. Prior to this role, Mr. Bugher served as the Secretary of the State of Wisconsin Department of Administration from 1996 to 1999. From 1988 to 1996, he served as Secretary of the State of Wisconsin Department of Revenue. Mr. Bugher serves in leadership positions as chair or board member to many organizations promoting economic development in Wisconsin. President & CEO, First Business Financial Services, Inc.
Corey A. Chambas has served as a director since July 2002, as Chief Executive Officer of the Company since December 2006 and as President of the Company since February 2005. He served as Chief Operating Officer of the Company from February 2005 to September 2006 and as Executive Vice President of the Company from July 2002 to February 2005. He served as Chief Executive Officer of the Company’s First Business Bank subsidiary from July 1999 to September 2006 and as President of First Business Bank from July 1999 to February 2005. 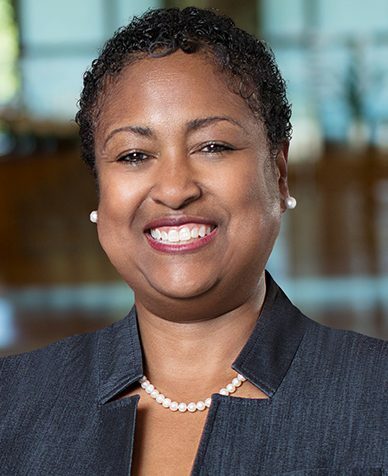 Carla C. Sanders has served as a director of the Company since June 2017 and is a member of the Compensation Committee. Ms. Sanders is Senior Vice President of Human Resources and a member of the Executive Committee for AMC Entertainment Inc., a publicly traded company. In this role she is responsible for the strategic development and implementation of benefits, community relations, compensation, employment practices, human resource systems, talent acquisition and training and development. Ms. Sanders serves on the boards of non-profit organizations in the greater Kansas City market and is currently the board chair for the Central Exchange win|win. Jan A. Eddy has served as a director of the Company since October 2003, and she is Chair of the Corporate Governance and Nominating Committee and a member of the Compensation Committee. She joined as director of First Business Bank in April 1990 and retired from that board as Board Chair in May 2010. Ms. Eddy served as President and Chief Executive Officer of Wingra Technologies, a designer and distributor of software, from October 1991 to January 2005. Quest Software purchased Wingra Technologies in January 2005. Ms. Eddy held the position of Business Development Executive at Quest Software from January 2005 to October 2005. John J. Harris has been a director of First Business Financial Services, Inc. since 2012. and is now a member of the Audit Committee. Mr. Harris is a retired senior financial services executive from the Greater Chicago Area with over 25 years of experience providing financial advisory services to senior managements, boards and special committees of publicly traded companies. He has extensive experience with mergers and acquisitions and has done significant work advising clients on capital formation and execution of public capital raises. Harris was Managing Director of the Investment Banking Financial Institutions Group at Stifel Nicolaus Weisel from June 2007 to September 2010, Managing Director of the Investment Banking Financial Institutions Group at Piper Jaffray & Co. from February 2005 to March 2007 and he held senior banking positions at William Blair & Co., LLC and ABN Amro/The Chicago Corporation prior to that. Mr. Kauten serves as Co-owner of Mirus Bio and Owner of Air-Lec Industries. Mr. Kauten helped shape the purpose, vision, values, and strategy for a number of Wisconsin biotechnology companies, including for Promega Corporation, PanVera Corporation, Quintessence Biosciences, Inc. and Lucigen Corporation. His prior positions include being a Faculty Member at the University of Wisconsin-Whitewater, Plant Controller of the Ortega taco plant for Heublein, Inc., and Senior Auditor for Grant Thornton, CPAs. Mr. Kauten has served as a member of the First Business Bank Board since 2004, and serves or has served on the boards for various companies dedicated to economic growth and development. Mr. Keane is the Managing Investor and Director of Golden Angels Investors, LLC, and was the founder and CEO of Retail Target Marketing Systems (RTMS), now a unit of Fidelity Information Services. Mr. Keane is a limited partner in several venture and private equity funds and provides data analytics strategy consulting services to a small group of companies. Mr. Keane has led entrepreneurship programs and taught MBA classes at Marquette University for over 15 years. Mr. Keane has served as a member of the First Business Bank Board since 2017 and serves or has served on the boards of several local startups and economic growth companies. Chair, First Business Financial Services, Inc.
Jerry Kilcoyne, has served as a Director of the Company since November 2011 and is a member of the Audit Committee and Compensation Committee. He served on the Board of Directors of the Company's First Business Bank subsidiary from August 2005 until June 2018, and had been Chair of that Board from May 2010. Mr. Kilcoyne, Managing Partner of Pinnacle Enterprises, LLC, is also a private equity investor in businesses and an owner of commercial real estate in the Madison area. 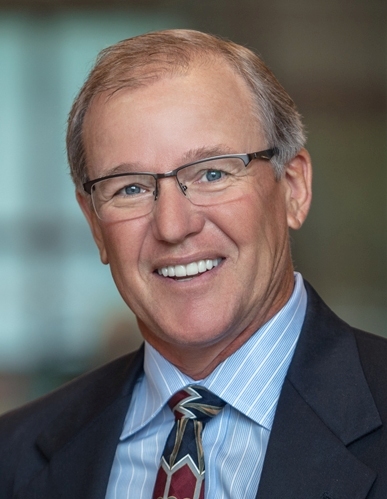 He has been involved in mergers and acquisitions throughout the United States, Canada, and Europe since 1980 and has owned or operated businesses in manufacturing, transportation equipment leasing, railroad operations, retail, printing, advertising specialties, elderly housing, warehousing, and distribution. Kent Lorenz is the retired Chairman and CEO of Acieta LLC, a provider of advanced industrial robotic automation systems to North American manufacturers and their global affiliates. He is the Managing Partner of DKR Investors LLC, a commercial real estate investment company based in Pewaukee, Wis., and was appointed in 2014 to serve on the Wisconsin Technical College System Board of Directors where he currently serves as Board Secretary. Kent also serves on the advisory board of Essential Industries in Merton, Wis., and is an advisor to UW Madison-based startup C-Motive. In the local community, Kent serves on the Western Lakes Fire District Board of Directors as their Treasurer and on the Advisory Board for Pewaukee High School's 'Project Lead the Way' program. Kent has also served on the United Way of Waukesha and Milwaukee's Cabinet Committee for the past three years. He is the past Chairman of the Manufacturing Executive Committee for the Waukesha County Business Alliance. Mr. Olszewski is the Director of the Weinert Center for Entrepreneurship, an MBA Entrepreneurship Program, at the University of Wisconsin-Madison School of Business. Previously, he was CEO, COO, and later chaired the Board of PNA Holdings, LLC/Parts Now!, a privately held holding company. He was CEO of Katun Corporation, an international developer and distributor of compatible copier parts and supplies. He began his career with strategic management consulting firm, McKinsey & Company, where he led the development of acquisition and growth strategies for international agribusiness, biotechnology, and consumer goods clients. He has served as a member of the First Business Bank Board since 2010. Mr. Olszewski continues to serve as a member on several boards and committees. Carol P. Sanders was elected as a Director of First Business Financial Services, Inc. in September 2016. Ms. Sanders has been the President of Carol Sanders Consulting, LLC since July 2015, a business consulting firm serving insurance and technology clients. Previously she was a senior financial executive having served primarily in the insurance industry. From June 2013 to June 2015, Ms. Sanders, age 49, served as Executive Vice President, Chief Financial Officer and Treasurer of Sentry Insurance a Mutual Company, a property and casualty insurance carrier based in Wisconsin. Additionally, Ms. Sanders served as the Executive Vice President and Chief Operating Officer of Jewelers Mutual Insurance Company, a specialty property and casualty insurance company based in Wisconsin, from November 2012 to July 2013. While at Jewelers Mutual, she also served as Senior Vice President, Chief Financial Officer and Treasurer from May 2011 until November 2012 and as Chief Financial Officer and Treasurer from 2004 until May 2011. Ms. Sanders has been on the Board of Directors of Alliant Energy Corporation, a publicly-traded public utility holding company (NYSE: LNT) based in Wisconsin, since 2005. She is currently serving as chair of the compensation and personnel committee, as a member of both the executive and nominating and governance committees and previously served as the chair of the audit committee for six years. In May 2016, Ms. Sanders joined the Board of Directors of RenaissanceRe Holdings Ltd., a publicly traded global provider of reinsurance and insurance (NYSE: RNR) based in Bermuda, and serves as a member of the audit committee. In Ed’s most recent role at Peoples Bancorp, Inc., he completed several bank and non-bank acquisitions. Prior to that, he spent 19 years with WesBanco, Inc., a financial services company in Wheeling, West Virginia, where he held the positions of Senior Vice President & Strategic Planning & Analysis, Senior Vice President & Controller, and other roles. Ed received a BSBA in Accounting from Marshall University in Huntington, West Virginia. He is a Certified Public Accountant. Dave Seiler brings to First Business nearly 25 years of financial services experience with leading commercial banking firms in the Midwest. 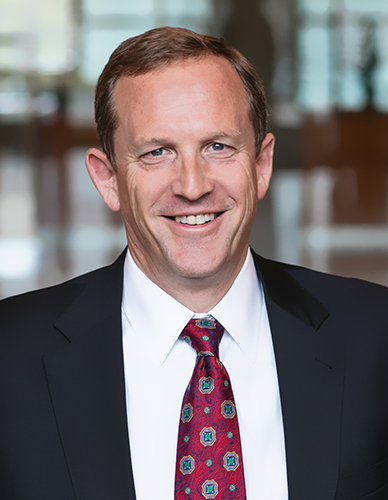 Most recently, he served as Managing Director of the Correspondent Banking Division of BMO Harris Bank. Dave has an impressive track record of successful leadership in credit administration, relationship management, treasury management, commercial real estate lending, and correspondent banking. He has specific experience in the Wisconsin, Minnesota, St. Louis, and the Kansas City markets. Seiler received a bachelor’s degree in Marketing and Business Administration and a master’s degree in Real Estate Appraisal and Investment Analysis from the University of Wisconsin - Madison. Michael J. Losenegger has over 27 years of banking experience, including specialized work in commercial lending and highly leveraged transactions. In addition, he has several years of experience working in the treasury department of a Fortune 500 company. Michael is a graduate of the University of Wisconsin-Madison where he received his Bachelor of Science Degree in Agricultural Economics. He holds a Master's Degree in Management with concentrations in finance, accounting and management policy from Northwestern University's Kellogg Graduate School of Management. Michael is a board member of Independent Living, Inc. and Mt. Horeb's Zoning Board of Appeals. He is also a member and past board member of Madison South Rotary. Michael is also active in the Community Clothes Closet in Mount Horeb. Barbara M. Conley brings 30 years of progressive commercial banking experience from Associated Bank, and is well known from her extensive community involvement. Barbara’s community involvement includes: past Board Member and Board Chair of Downtown Madison, Inc.; current Audit Committee Member of Madison Community Foundation; past Board Chair and Finance Committee Chair of Meriter Retirement Services, Inc.; past member of the UW School of Business Dean’s Advisory Board; past President and Founding Board Member of The Business Forum, Inc. Barbara holds a J.D. degree from the University of Wisconsin Law School, a Master of Business Administration in Finance and a Bachelor of Business Administration in Personnel from the University of Wisconsin – Madison. Jodi A. Chandler, age 52, has served as Chief Human Resources Officer of FBFS since January 2010. Prior to that, she held the position of Senior Vice President-Human Resources for several years. She has been an employee of FBFS for over 20 years. Mark J. Meloy, age 55, has served as Chief Executive Officer of FBB since December 2007. Mr. Meloy joined FBFS in 2000 and has held various positions including Executive Vice President of FBB and President and Chief Executive Officer of FBB-Milwaukee. He currently serves as CEO of FBEF. He also currently serves as a director of our subsidiaries FBB and FBEF. Mr. Meloy has over 25 years of commercial lending experience. Prior to joining FBFS, Mr. Meloy was a Vice President and Senior Relationship Manager with Firstar Bank, NA, in Cedar Rapids, Iowa and Milwaukee, Wisconsin, now known as U.S. Bank, working in their financial institutions group with mergers and acquisition financing. Daniel S. Ovokaitys, age 43, has served as Chief Information Officer since June 2014. Prior to joining FBFS, Mr. Ovokaitys held the position of Head of Corporate IT (North/South America) for Merz Pharmaceuticals, located in Frankfurt Germany, from 2010 to 2014. He also served as Director of IT for Aurora Health Care from 2006 to 2010 and Manager of IT for the American Transmission Company from 2000 to 2006.